Running Press Kids, 9780762492664, 32pp. 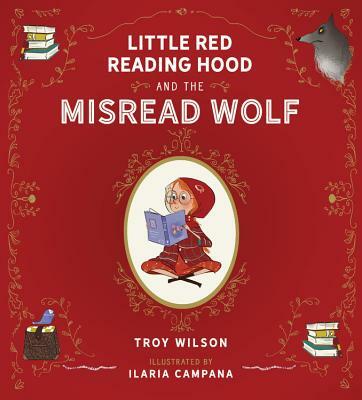 Little Red Reading Hood loves--you guessed it--reading! She applies everything she learns from books to the real world. So, when she sets off to take her sick grandmother a homemade treat, she's prepared for anything that comes her way. In keeping with the original story, Red is in for a surprise when she arrives to find a wolf disguised as her grandmother. But this is no ordinary wolf. . . This is the Misread Wolf, who's after something more delicious than your average snack. He's desperate for a bedtime story and knows Little Red Reading Hood might just be his only hope.